Our purpose is to use fruit that grows in our neighbourhood but is not being harvested by the homeowners. Our local fruit is generally not treated with pesticides or chemical fertilizers and certainly not sprayed to ripen or waxed to preserve them for shipping. It is local produce. We also gather from some local BC fruit vendors in town. We take the bruised and ‘ugly’ fruit that cannot be sold and ‘rescue’ it. We feel it fits our mandate for even though it has been grown and harvested outside of town, it has been transported here and if we do not intervene, it will be wasted. We thank the vendors that support us: Walker’s Own BC Fruits and Steve and Dan’s BC Fruits. We are also gifted with excess fruits from The Organic Box here in Edmonton. Many thanks for the continuing support we have received from The Organic Box. THE COST OF 'RESCUED' FRUIT. We started in our neighbourhood of Sherbrooke with the mission of using fruit that was falling to the ground as we believed it was the right thing to do, it was free and we wanted to show that good things could be made with this abandoned fruit. We walked from yard to yard and Christina brought her grandchildren to help and the bounty was hauled home in the wagon. We proudly had a little footprint on our labels at that time as we claimed to pick within walking distance of our community league. It was an environmental effort and we made jams and applesauce as a way to use the fruit. 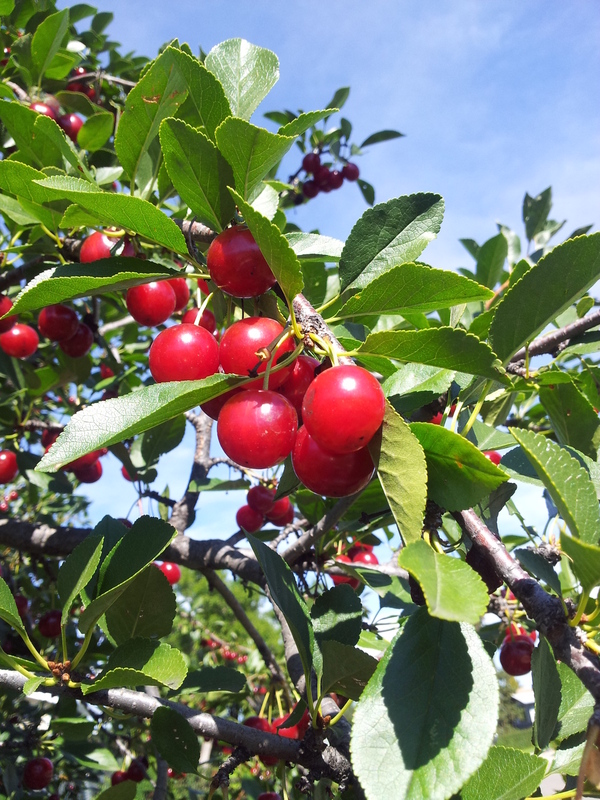 Over the second year, we received calls from farther afield to come and pick their fruit. We were appreciative of the offering, so we went, picked and tried to leave homeowners a jar of jam in thanks. It was manageable and we were having fun. We were not making money yet but assumed it was the cost of starting up. Year three was 2013 and it all expanded. We were making lots more product, selling in more markets and thus had to gather more of this "free" fruit. At the same time we were busy making sure that fruit, excess to our needs, was given to other small charities, non-profits, community kitchens, group homes, university food banks, schools and individuals that would use it. In the fall of 2013 we diverted over 8,000 kg apples to these places plus other produce that came our way. In the winter of 2014 we met with consultants from Alberta Agriculture and one of our challenges was to actually look at the cost of our 'free' fruit. As mentioned above, we figured it was free and happily drove around picking, picking up and bringing it back to our kitchen. But as we worked it out, we found that it costs more than buying it from the store. WOW! what a surprise that was! We began to look at it from a business perspective and realized that we have no economy of scale. Fruit is spread all around the city and we have to travel from place to place, bringing and climbing ladders up into cherry, apple and pear trees and then bring it all back to the kitchen to clean and prepare it. Then because we are such a small organization, we have to drive around the city to tuck the prepared fruit into freezers stored in various homes and even a church basement. We know it is the right thing to use local fruit that would otherwise be abandoned but it is not a cheap option. 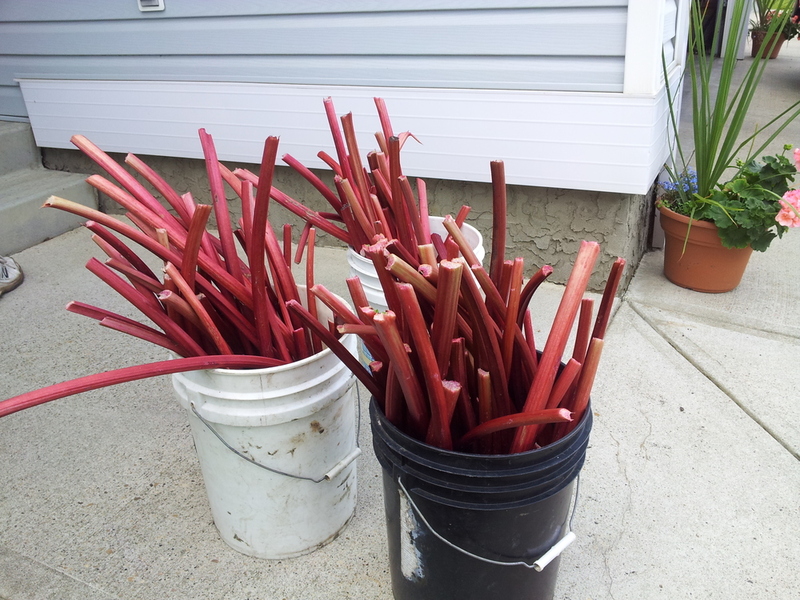 We have calculated that buying rhubarb at a local warehouse is cheaper than our costs but ours is local, has a lower environmental footprint, and helps us live locally.